How to Get Master Card credit card? Check credit card number online, check out our Validator. Note: All card numbers with details generated on this page are completely random and does not hold any real life value. Easily generate MasterCard Credit card numbers easily without the use of any harmful software. All Mastercard credit card numbers are 100% valid credit cards. However, details such as name, address, expiry data and security details such as CVV do not poses any real value..
To get MasterCard Credit cards simply follow instructions below. Done! If you want to generate in bulk simply click on the Bulk Generate link above. MasterCard credit cards always starts with 5. All MasterCards credit cards generated from this page are 100% valid except for the details generated along with it like names, address, expiration data, and 3-digit security codes. They are completely random and does not hold any real value. 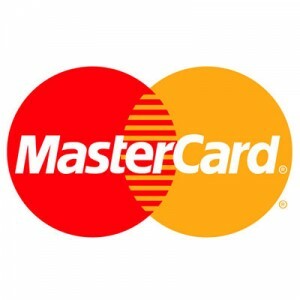 How MasterCard Credit Card Numbers can be generated? As we have stated on our Homepage you can easily generated a valid credit cards by simply utilising the card number prefixeses which can be easily identify by looking at the Major Industry Identifiers or MII. prefix digit Major Industry Identifier, 6-digit issuer identification number or IIN, 7-digit personal account number. See table below. Since MasterCards credit cards starts with "5" then it belongs under Banking and Financial Identifier. Note: Credit card number generated are valid but DOES NOT WORK like an actual credit card. They do not have any actual REAL VALUE. They are for data testing and verification purposes only. If you do not want to expose your financial credit card details using your real credit card. Feel free to generate fake numbers here and use it instead.